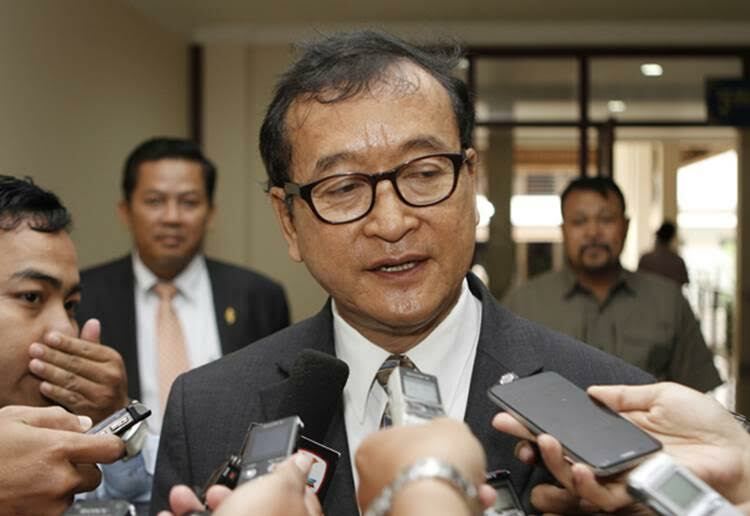 Sam Rainsy, president of the Cambodia National Rescue Party (CNRP), issued a letter from Paris, where he is on a trip to build support for Cambodia’s democratic ambitions, to respond to public criticism of him on social media that he was an irresponsible leader for leaving the country on Tuesday, the same day that the CNRP activists were convicted. CNRP leaders discussed and decided on their reaction immediately after the sentences were handed down he said, adding that his colleagues in the capital Phnom Penh had given interviews to several newspapers and radio and TV stations about the outcome of the trial. “There will be other appropriate actions and measures we will take on several fronts in the coming days,” Sam Rainsy said, although he provided no further details. None of the plaintiffs at the trial identified any of the defendants as having committed an act of violence during a July 2014 rally that led to clashes between protesters and security forces in Phnom Penh’s Freedom Park. Nevertheless, three CNRP officials received 20-year jail terms for both participating in and directing an insurrectionary movement, while the other eight received seven-year sentences for participating in an insurrectionary movement. Sam Rainsy went on to say that the “culture of dialogue” that has existed between the CNRP and the ruling Cambodia People’s Party (CPP) since last July was “still new and fragile” but would prove vital for the country's democratic future. 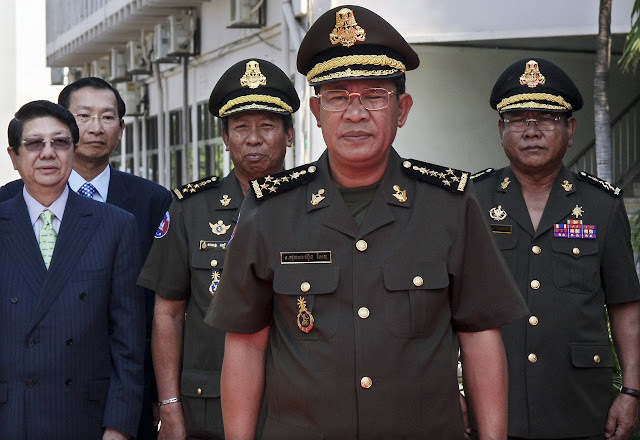 “It is a process that serves fundamental purposes with far-reaching implications: ending the culture of political violence and revenge; ensuring a peaceful democratic transition for Cambodia,” he said. He noted that the CNRP can engage in civilized behavior while still standing its ground on its principles as it recently did when 55 of its lawmakers rejected CPP proposals on legislation pertaining to the settlement of the 2013 state budget and the regulation of nongovernmental organizations. “We believe that culture of dialogue and criticism can go together as long as the dialogue partners remain courteous to each other,” he said, adding that without the culture of dialogue, the repression would have been much worse. Brad Adams, executive director of Human Rights Watch’s Asia Division, criticized international donor countries for remaining silent about the sentences as they pay attention to countries they believe are more geopolitically important than Cambodia. He also said the sentences were an attempt by Prime Minister Hun Sen to silence government critics. “Twenty-year sentences for people who didn’t do anything really gives the sign of a dictatorship like Cambodia had in the 1980s,” he said. Thirteen NGOs and associations, including the Cambodian Center for Human Rights, Equitable Cambodia and Housing Rights Task Force, also condemned the court’s ruling, calling the sentencing of the activists unjust. They said the decision by the Phnom Penh municipal court, where the trail was held, was politically influenced. Reported by RFA’s Khmer Service. Translated by Sarada Taing. Written in English by Roseanne Gerin.